Weddings are a wonderful venue to release butterflies. From the Bride and Groom to all of the guests, everyone enjoyed the release to commemorate this special day. Butterflies give a magical feeling to every event. 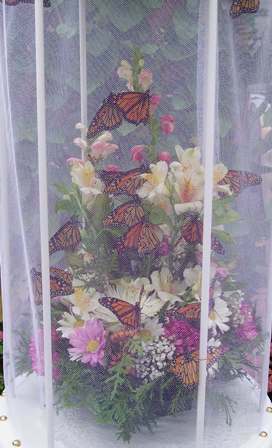 If you would like butterflies to grace your special day, please contact us for details. We offer a display piece for any event. 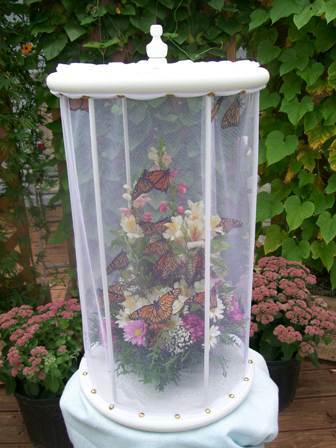 It can be customized with the flowers you like and any number of butterflies. Please contact us for a proposal and to reserve your date. personalized for your special occasion. Butterflies and poems can add to your special day.